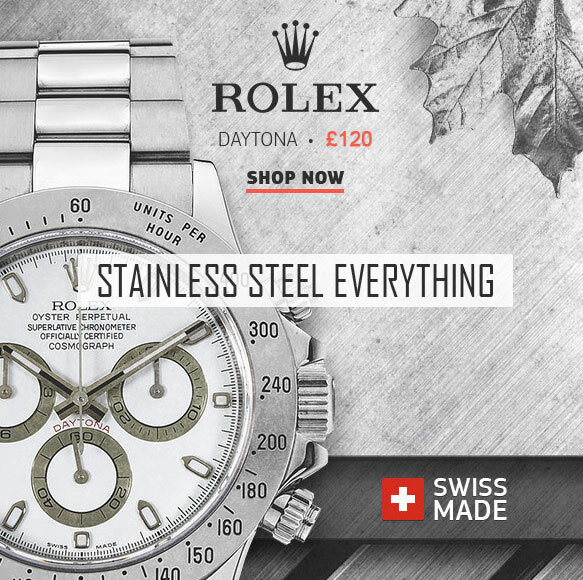 Rolex is known throughout the world for their highly competent sport replica watches and their luxurious, status-symbol timepieces. However, one watch falls into neither category and remains somewhat of a black sheep among the Rolex lineup. The anti-magnetic Milgauss possesses special features that tailor it to one specific use – much like Rolex’s professional series of sport fake watches; however, its overall styling is much more in-line with Rolex’s other, more traditional offerings. The Milgauss Z-Blue Dial is an intriguing replica watch for its unique origin, design, and purpose. The unique Milgauss collection made for those exposed to magnetic fields. The watch achieves its magnetic resistance by encasing its movement within a Faraday cage, which thoroughly protects its delicate inner-workings from potentially harmful magnetic forces acting upon it. Although impressive from a technological standpoint, relatively few people actually required the anti-magnetic capabilities of the Milgauss, and as a result, it took a backseat position to Rolex’s more popular Submariner and GMT-Master lines of replica watches. Despite its poor initial sales and slightly obscure intended purpose, the Milgauss has lingered as an offering in the Rolex catalogue and is still in production today. Although it has not seen nearly as many reference revisions as other lines of Rolex watches, the Milgauss has undergone a number of various upgrades and updates throughout the years that it has remained in production. 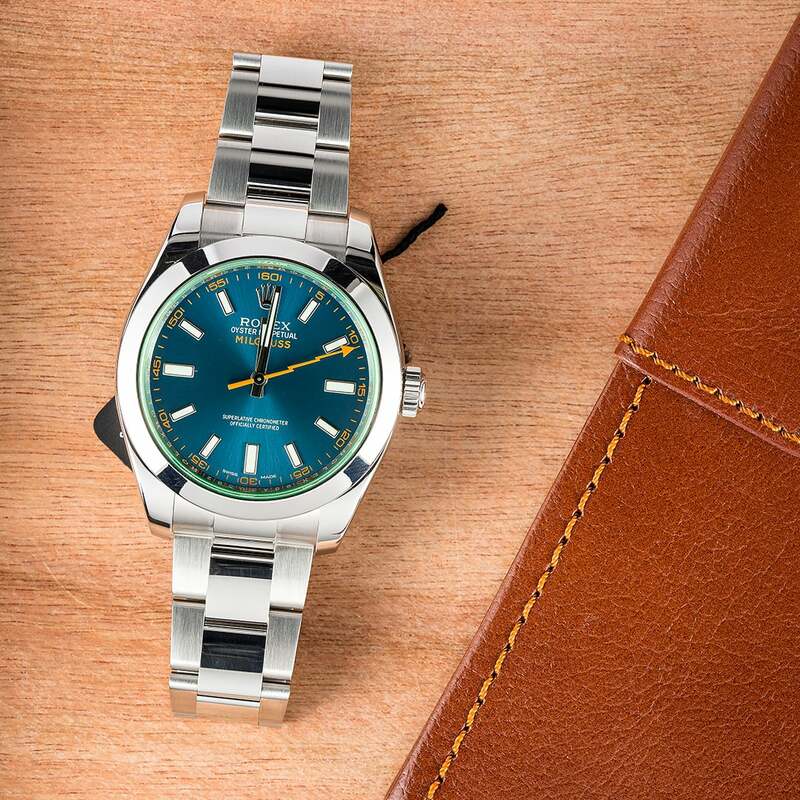 To celebrate the 50th anniversary of their anti-magnetic watch, Rolex released a special version of their Milgauss that – like many of Rolex’s other anniversary pieces – employed a bit of green-colored flair. For the anniversary edition, this took the form of a green-tinted sapphire crystal. 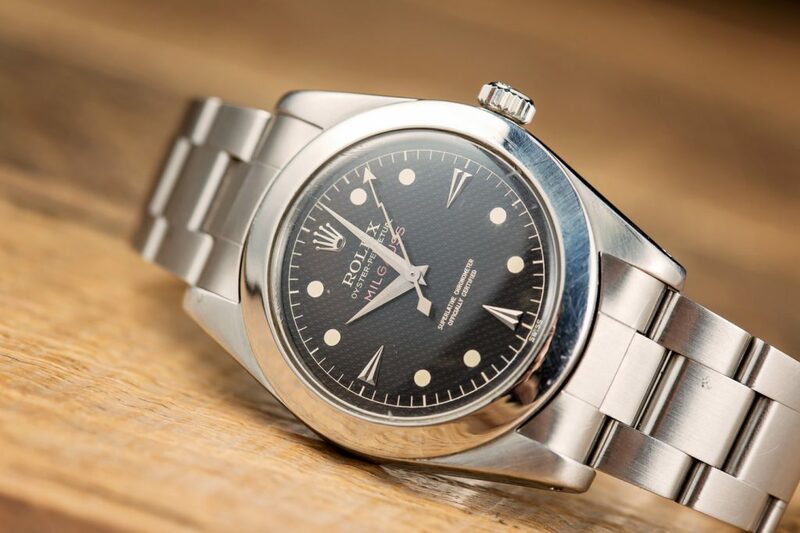 As this trait was entirely unique to the Milgauss, it quickly became a major selling point for Rolex’s line of anti-magnetic watches, and was subsequently carried over onto the new, non-anniversary edition of the Milgauss. At Baselworld 2014, Rolex replica released another version of the reference 116400GV Milgauss – this time with an electric blue dial. Like the 50th anniversary edition that introduced the 116400GV reference number, the new, non-anniversary Milgauss also featured a green-tinted sapphire crystal fitted over the dial’s surface. Other than the bright blue dial, which Rolex calls Z-Blue, the new reference 116400GV Milgauss is entirely identical to the anniversary edition that was released several years prior. 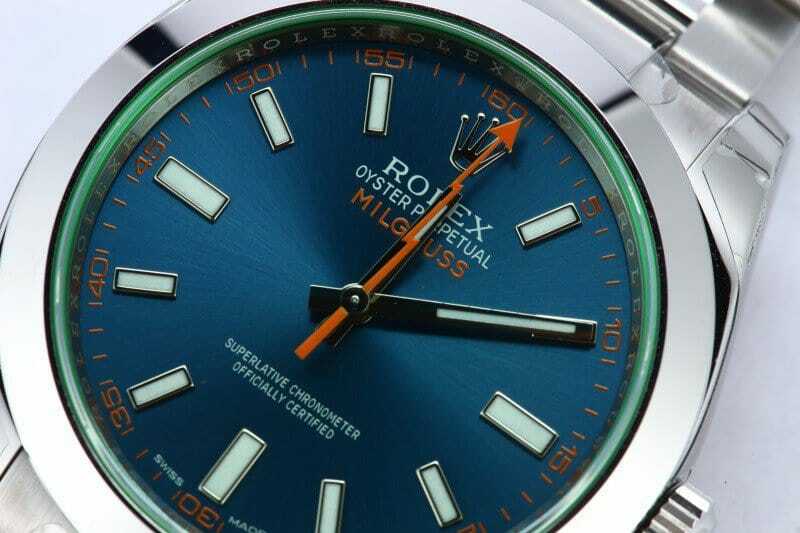 With that in mind, the bright, metallic color of the Z-Blue dial results in a significantly different watch than the 50th anniversary edition Milgauss that goes by the same reference number. As a color for watch dials, blue is almost as classic and versatile as the more traditional tones of black, white, and silver. However, the color blue also excels at being able to appear slightly more casual and eccentric, without simultaneously risking the danger of coming off as too informal or outlandish in appearance. Although the Milgauss does not get as much attention as many of Rolex’s other watch lines, it is truly unique among their various offerings. Although it falls somewhere between a tool watch, a dress watch, and a sport watch, the Milgauss is a highly practical choice, as it combines 100 meters of water resistance with unparalleled ant-magnetic capabilities. With its striking Z-Blue dial, lightning bolt-shaped seconds hand, and mesmerizing green sapphire crystal, the reference 16400GV is easily one of the most visually distinct watches that Rolex has ever put forward.